Do you and your company need solutions to any of the above or below challenges? * End of the month crunch (Hockey Stick Syndrome). If you answered YES to any of the above situations, stay connected and you will discover how Bill Gaw's unique Lean Manufacturing, PowerPoint-Plus, Training Presentations can help your company reach its full growth and profit potential while improving your job security and employability. Here you will find unique, cost-effective knowledge and implementation know-how to help you exceed your goals and expectations. 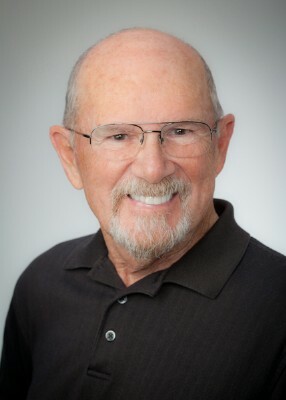 Bill Gaw's, Lean Manufacturing, PowerPoint Plus, Training Presentations on the other hand include powerful, PowerPoint charts and graphics, "plus" annotated note pages with slide commentary and "lessons learned" by Bill a "been there, done that" lean manufacturing champion. to the right place. Here you will find Bill Gaw's, back-to-basics, solutions presented via 10-training presentations that provide the foundation for achieving positive results... training presentations for accelerating individual and company success... training presentations that creates a "make-it-happen" work environment... training presentations that returns sanity to the work place and raises the level of individual and company performance. 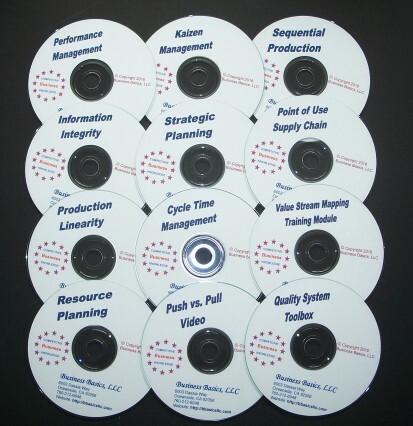 For more than 15 years, our 1500 plus Customers and 15,000 plus MBBP Bulletin Subscribers have looked to Bill Gaw as a trusted publisher of "back-to-basics," lean manufacturing, training materials and programs. Distant learning that helps improve the spirit and performance of individuals and their organization. We invite you to join the crowd? Unfortunately, "make-a-difference," Lean Manufacturing, PowerPoint training materials are not for free... but much less than you would imagine. Much less than you would imagine. In fact, we make the training presentations affordable so that it can fit easily within your personal or your company's training budget. We want you and your company to hear what Bill has to say about lean manufacturing and the best way to do that is to make it affordable. CD - Basic No. 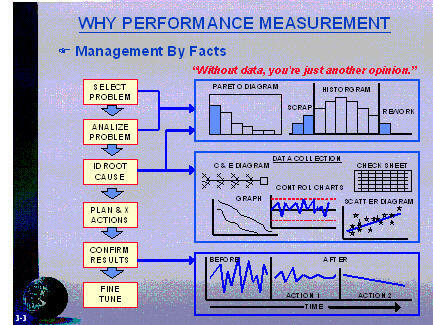 2: Information Integrity - MRPII/ERP expectations will not be achieved when day-to-day production and manufacturing/supply chain control systems are driven by inaccurate, untimely and uncontrolled data and/or documentation. CD - Basic No. 6: Sequential Production - Effective shop floor control has proven elusive as we have upgraded our manufacturing control system from MRP to MRPII and then to ERP. To capture control of shop floor activities, we need to stop beating a �dead horse� and implement the Sequential Production Process. The winners are!. CD - Basics No. 8: Cycle Time Management - If your manufacturing team can handle only one kaizen project at a time, then let it be the reduction of total build/test cycle time. There just isn�t any other more important control factor in our pursuit of lean manufacturing success. CD - Basics No. 9: Production Linearity - Companies will never achieve their full growth and profit potential if they produce more than 25% of their monthly shipment plan in the last week of the month or more than 33% of their quarterly shipment plan in the last month of the quarter. As companies struggle to remain competitive, one of the strategies by which gains in speed, quality and costs can be achieved is to pursue and achieve linear production. CD - Basics No. 10: Resource Planning - The inadequate and untimely availability of resources is a major cause of manufacturers� failure to meet their delivery schedules and profit margin forecasts � material shortages, low productivity and poor planning are not always the only causes. * Increase team contribution to the company's "bottom line." respond clearly have the edge."